FIANNA FÁIL senator Ivor Callely has become a media whipping-boy in a battle that will make a mockery of politics. Callely stands accused of claiming €3 987 every month (totaling €81 015) in travel expenses to and from his home in west Cork with the strong implication that he does not, in fact, actually live there. Abandoned by his party colleagues—a clear case of the sinking ship leaving the rat—Callely, who is now in the process of selling his County Cork home, admits his claims are ‘complex’ but maintains he has done no wrong. It’s hard to feel any personal sorrow for Callely. At the risk of incurring the wrath of libel lawyers, it really does look like he was, er, ‘ripping the arse out it’. Nevertheless, in the rush to bury him, vastly more important political lessons are being lost. The Callely case is a near-perfect example of how this kind of second-hand scandal really damages politics: it’s not that his actions lower the esteem of politicians in the minds of the electorate so much as a case of media- and elite-driven self-hatred imposing itself on wider society. The narrative is simplistic in the extreme: politicians are venal, self-serving egomaniacs. 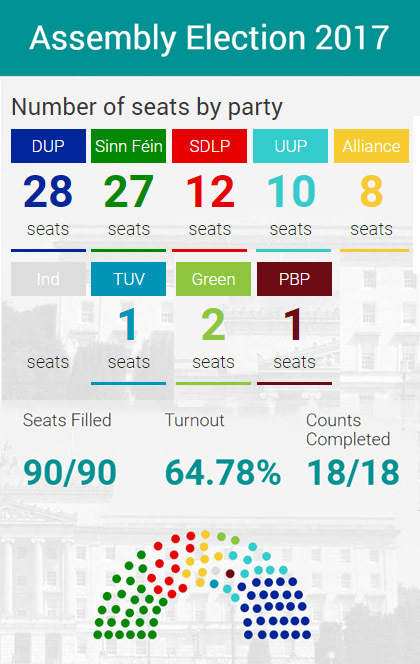 In some cases this may well be true but that should not blind us to the fact that, as imperfect as Ireland’s parliament and electoral system are, politicians do have a legitimate claim to represent the people. In Callely’s case this is complicated by his membership of the upper house, an anti-democratic boondoggle designed to ensure the will of the people is never truly enacted. The reality is that the Seanad has no business existing in the first place. (1) Ireland is a small country and a unicameral parliament is sufficient government. Moreover, the Seanad is an undemocratic, elitist institution that rewards ‘insiders’, political failures and the elite of society in the form of NUI and Trinity graduates. The only way to fix the Seanad is to abolish it. However, Callely is just one more ’scalp’ for those who would seek to generalise the legitimate mistrust of individual politicians and crystallise it as a wider rejection of democracy. Lacking any faith in either the electorate or their representatives, these people want to see the country governed by a mechanistic and technocratic set of rules, preferably overseen by the courts or European Union. This petty legalism, all process and no politics, masquerades as a desire for transparency and ‘fair play’ but in fact it is a symptom of mistrust of the public. In addition, it is worth looking at the backdrop to this latest media feeding frenzy. The expenses scandals, as with so many Irish news stories, originated in London. British politicians are low paid, relatively speaking. An MPs’ salary is of the oder of £65 738 (approx. €79 441). This is not by any means a pittance but is a relatively low amount compared to the salaries that politicians would earn in the private sector as solicitors, barristers and ‘consultants’ to industry. British politicians have been unable to obtain pay rises for some time simply because in our image- and ‘transparency’-obsessed era, something Tony Blair helped create when attacking John Major’s moribund leadership as corrupt in the mid-1990s, a vote for higher pay would be considered a scandal in its own right. As a result of this politicians were tacitly encouraged to fiddle their expenses in order to obtain the lifestyles they desired. While the Daily Telegraph was drip-feeding its revelations about MPs expenses little attention was paid to the fact that the story was serving a particular political agenda. While stories of moats and duck ponds were the preserve of the Tories it was actually Labour that got the worst hammering over expenses. Coming at precisely the point when public resentment to Labour had grown to the point where a Tory government was likely for the first time in over a decade, it is impossible to avoid the conclusion that the Telegraph’s glee was ideological. The British Labour party deserves no sympathy and its MPs, past and present, are a rum lot but that does nothing to obscure the fact that the whole affair has seen public interest in politics sink even lower. This idea spread like wildfire, crossing the Irish sea courtesy of lazy journalists and editors latching on a predetermined idea and knowing it would have immediate currency as a populist critique of politicians in a county where the disconnection between the goings on in parliament and public opinion is, if anything, deeper and wider than in Britain. Even local papers have got in on the job, complaining about the expenses charged by councillors and thereby neatly ignoring the fact that the principal problem with local politics is that the lack of proper payment means it is the sole preserve of busybodies, professionals and aspirant full-time politicians. This is not the way to reinvigorate democracy and the shrill complaints about Callely and his ilk serve only to create further disillusionment about politics.